China and Canada have "basically finished a feasibility study on a free trade agreement," after more than a year of effort, a Ministry of Commerce spokesperson said Thursday. "Both sides have extended willing to sign the agreement," said spokesperson Gao Feng at a press conference. 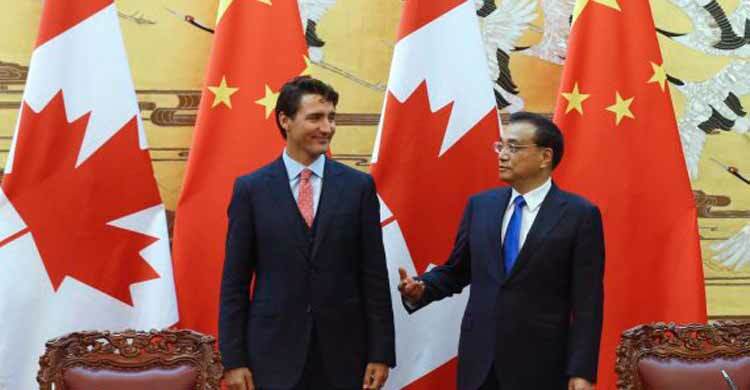 Gao said progress had been made on the issue during Canadian Prime Minister Justin Trudeau's visit to China from Sunday to Thursday. Recent years have witnessed robust momentum in bilateral cooperation, which has brought benefits to both peoples and sent positive signals to the international community, Trudeau said during the visit. Canada is committed to deepening relations with China on the basis of mutual respect and mutual trust, boosting cooperation on economy, trade and people-to-people exchanges and intensifying coordination on major global and regional issues, he said. China is Canada's second largest trade partner.